Fritz&Friends had a successful and memorable morning at the 2018 MDA Muscle Walk. We want to thank each and every person who came out to walk with us! 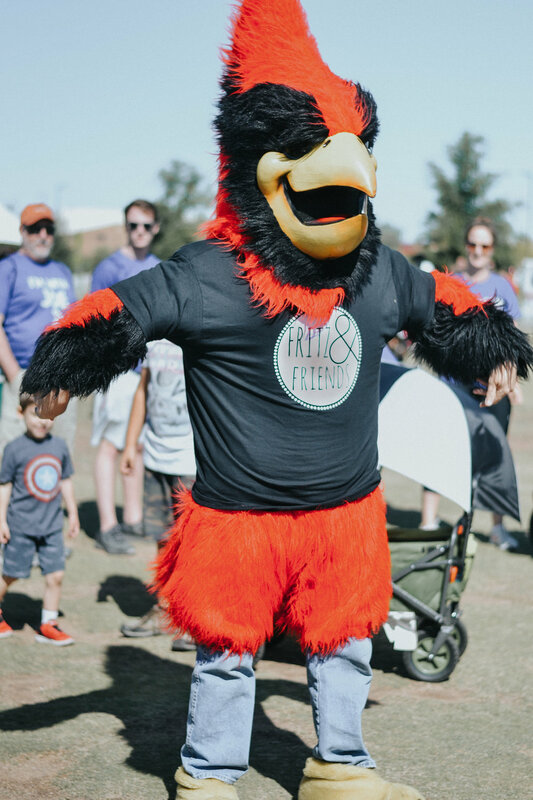 Fritz&Friends was well represented and our family came away refreshed, encouraged, and filled with more strength knowing we do not have to walk this Duchenne journey alone. 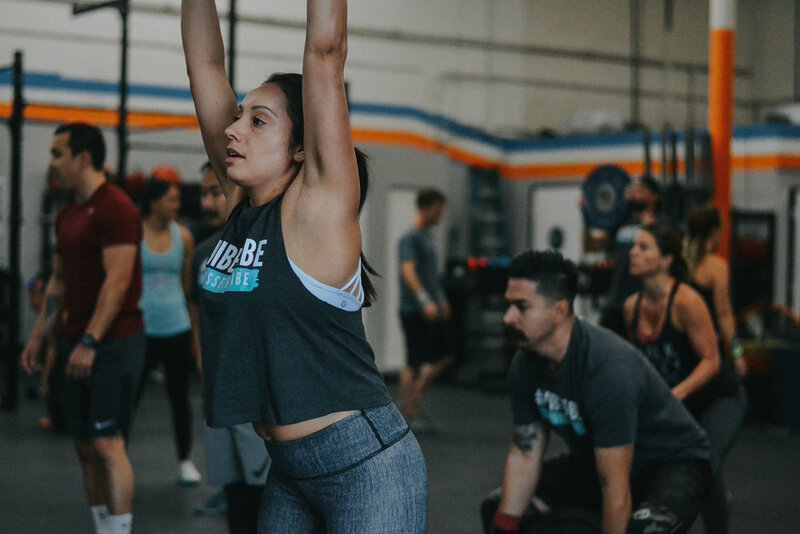 A couple months ago, we had someone reach out to us via our 'partner page,' inquiring about hosting an event at her Crossfit Gym in Costa Mesa, CA to help raise money for Duchenne. So on May 18, we packed up and drove over to Cali to meet a group of people we've never met before to share our story, and help bring strength to Duchenne. Jenny, the woman who initially contacted us, put on a successful event with over 60 participants. She sold shirts with the Gym's logo, as well as Fritz&Friends, and also asked for donation. Because of Jenny's strength, initiative, generosity, and selflessness we were able to raise $2,000 in just one Saturday morning. The money raised will be given to research in efforts to bring strength to Duchenne via a form of medicine and/or therapy to better the quality of life for those living with Duchenne. A big thank you to Jenny and Crossfit Vibe for using their strength to bring strength to Duchenne! 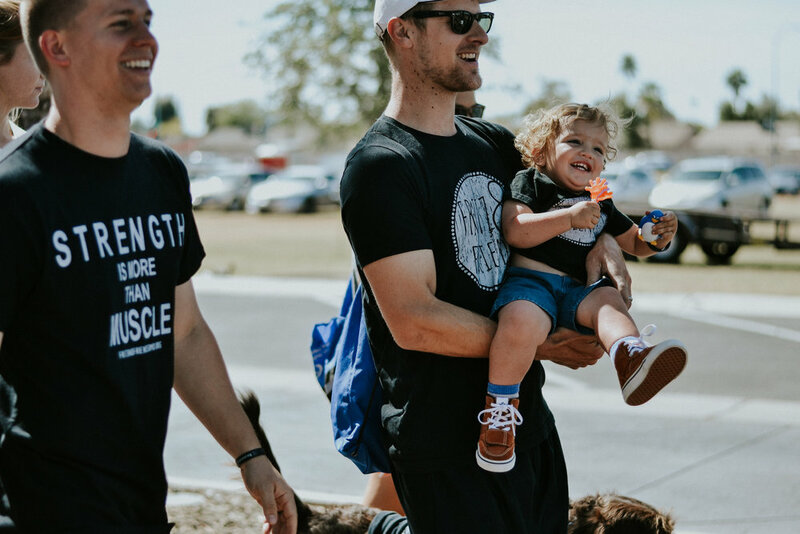 On Feb. 10, 2018 Professional Crossfit Athlete Lindsey Valenzuela, and the community at Autumo Crossfit Gym, in Moorpark, CA came together to give strength to Fritz, and the Duchenne community. 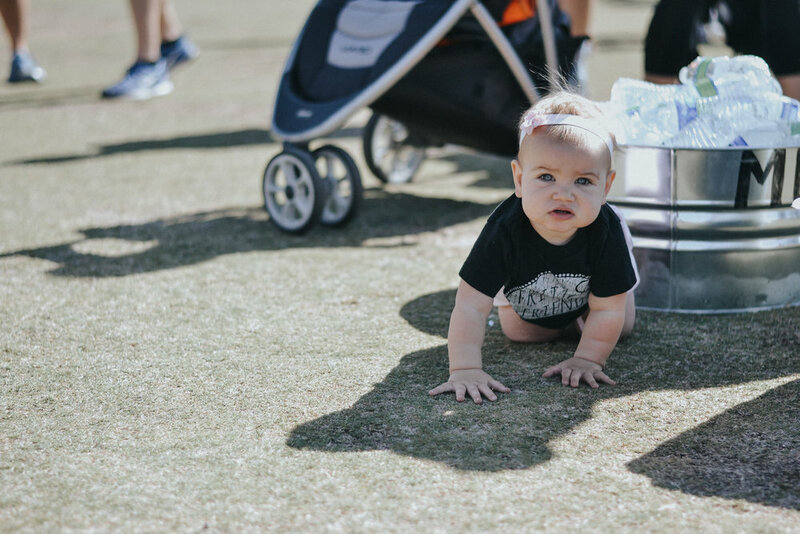 Exactly one year after Fritz's diagnosis, this particular crossfit community came together and did a workout in honor of Fritz, with various numbers in the workout representing important dates for Fritz and his family. Overall the gym was able to raise just over $2500 for Fritz&Friends which will go toward research in efforts to improve the lives of those living with Duchenne. The community also gave the family tickets to Disneyland along with spending money in efforts to help the family create life-long memories. 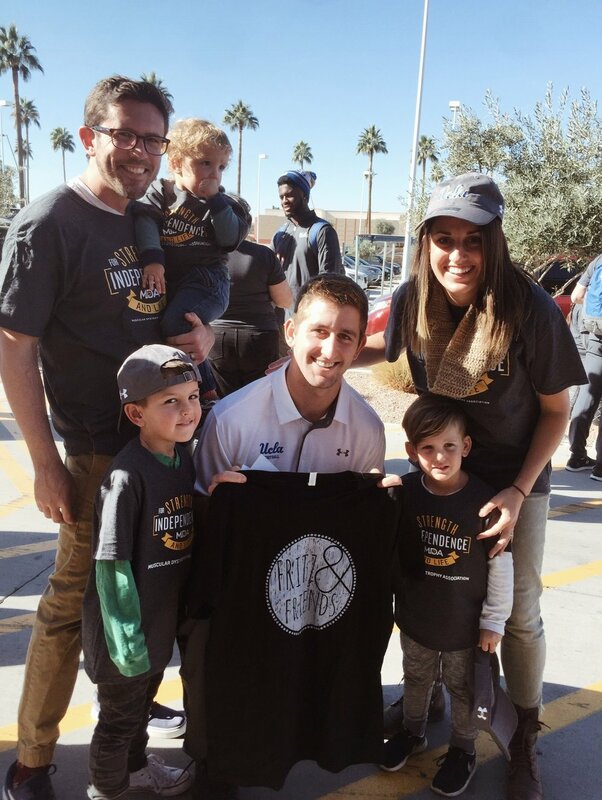 Josh Rosen is a on Team Fritz&Friends! Thank to the Muscular Dystrophy Association and The Cactus Bowl, our family was able to spend Christmas Eve Morning with the UCLA football Team. The boys enjoyed both bowling and playing games with some of the players. Cade is a freshman at Providence Christian College in Pasadena, California. Cade will be pitching on the baseball team, and had his glove specially designed to bring awareness and strength to Duchenne Muscular Dystrophy. We couldn't be more honored. Clay Matthews is bringing strength to Duchenne Muscular Dystrophy in a vary special and unique way. Fritz&Friends Inc.(EIN #82-2858671), is recognized as a 501(c)(3) tax exempt nonprofit organization.